Tai Chi has been practiced for centuries for both defense training and its well-known health benefits. Inspired by the long-standing practices of Tai Chi, this martial arts sword is done in a traditional Chinese design. The heavy stainless steel blade has intricate laser etchings and superb attention to detail. The cast metal fittings and hardware have a brass-plated finish, giving this Tai Chi sword the ornate and antiquated look and feel of a piece that is centuries old. It includes a coordinating scabbard to house the blade. 38" overall. A beautiful piece and perfect for practicing sword forms. even my Shifu (Eight Step Praying Mantis) loved it as well. 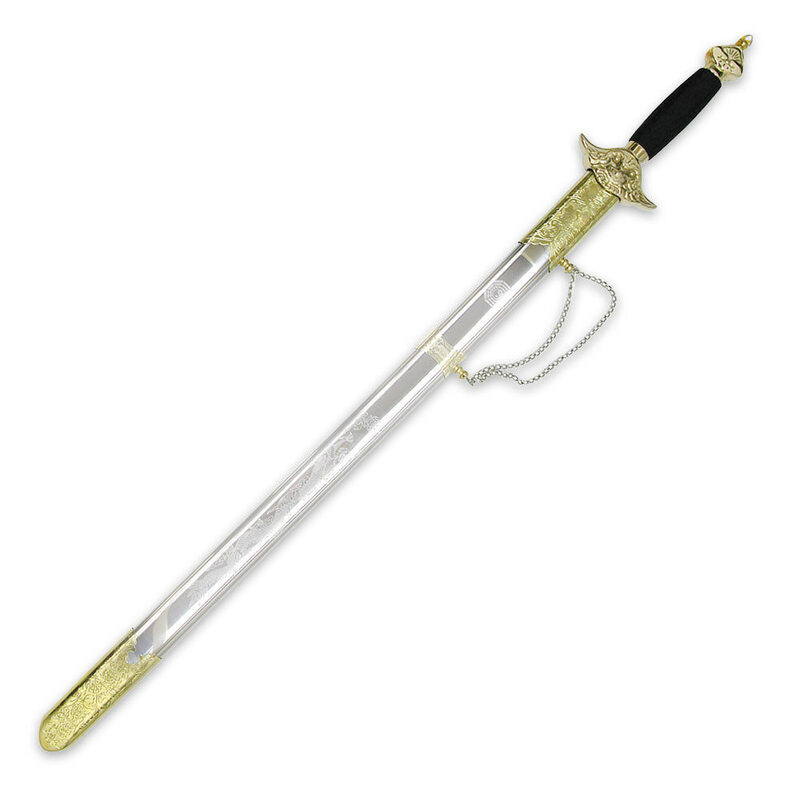 The only disappointment was it is a little lose in the scabbard but only from the bottom portion (near the handle). Don't grip it by just the handle and it'll be fine. It also came with orange and red tassles which I didn't really think fit with it, however they are just tied on and can be removed or reattached.